Buckaroos, Lose Yer Shoes!! 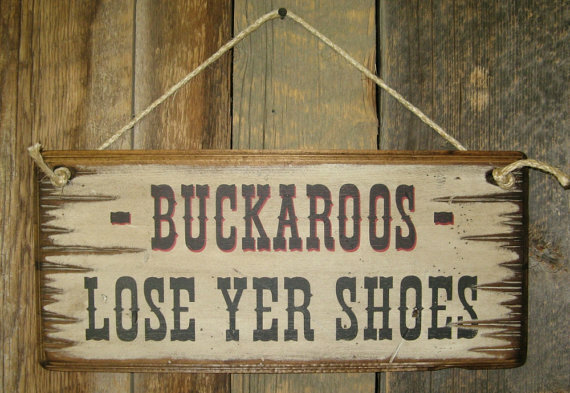 Hang this in your entry-way and let your guests and family know that they need to kick off their boots! This white background sign measures 8x18 and comes with the grass rope hanger for easy hanging. Handcrafted with pride! !